Intellivision has announced a new games console for the 21st Century. 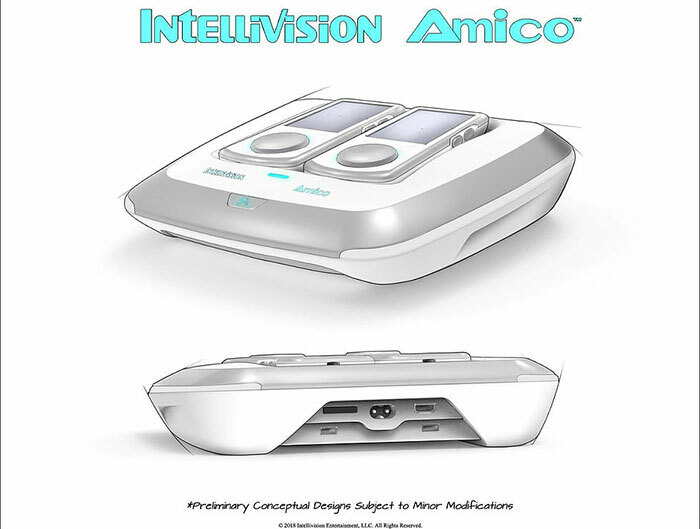 Almost 40 years since the original Intellivision home video game system appeared, the company has outlined a "brand new revolutionary family home video game console named Amico". The concept is to expand upon Intellivision's strengths with reimagined classics from its own library combined with Atari and Imagic classics - plus a selection of new games - to bring "the fun and simplicity of classic gaming to modern day". Furthermore, Intellivision is seeking to position the console for families wishing for kid-friendly games, all rated 'E for Everyone' or 'E10+'. There is a long time to wait until the console becomes available. 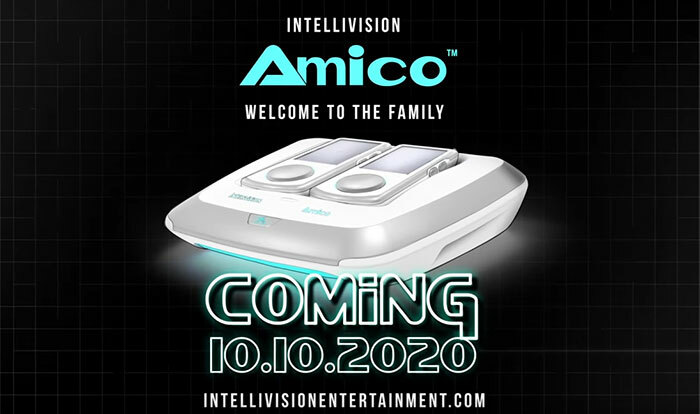 Intellivision says that the Amico is scheduled for release on the 10th October, 2020 (1010 2020). However, we do get quite a few details of the hardware and software which will be central to this console's character. In terms of console hardware, the maker is mostly vague, with processing power from a "State of the Art 21st Century 2D image processing and graphics capability," (wot no 3D?). More specs are the inclusion of; onboard interactive lighting, HDMI out, USB ports, Wi-Fi / Ethernet / Bluetooth, and an expansion interface. Controllers connect via Bluetooth and feature a tilting positional disc with LED border, 5.5-inch touch screen, four tactile feedback enhanced buttons, gyroscope, accelerometer, speaker, microphone, and Qi charging. Up to 8x controllers can be used with the system at once - and you can use your smartphone as an additional controller if you wish. As for software, we already mentioned above that there will be a plethora of reimagined retro games available for this machine. 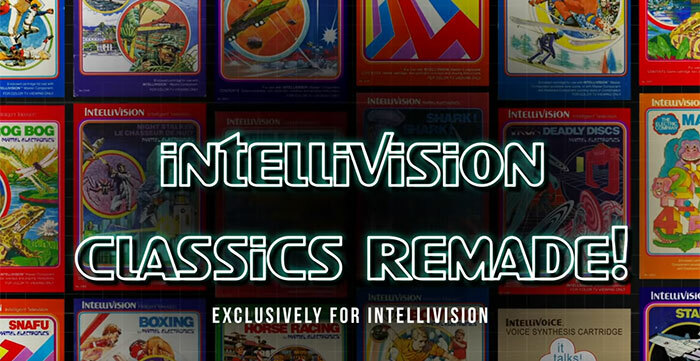 Intellivision says that every console will come pre-packed with several built-in reimagined Intellivision Classics and over 20 games including both reimagined industry classics and brand new exclusive titles via the Intellivision Online Store. All games must pass a "strict quality control seal of approval". Familiar games will get the following new features; updated graphics and audio, added levels, multi-player and online multi-player modes. A long list of games is available in the press release, as is a lengthy section listing all the gaming industry stalwarts that are said to be working on / supporting Intellivision's development efforts. The new console will be priced between US $149 - $179, and new downloadable games will be approx $2.99 - $7.99 each. There are no paid for DLCs, add-ons or in-app purchases. Do HEXUS readers think that Intellivision's upcoming Amico console will be a success? Console expense is one thing but I hope they are not thinking of charging $2.99-$7.99 for games between 20 and 40 years old, that's insane. Now now, before anyone defends it vehemently, I am saying that from the perspective the original game has already made its money, profit is done and revenue streams have ended. To me, charging so high for a digital version of a nostalgic classic is price gouging. But it depends what has been done to the game for the console. I guess I'm getting fed up of this mini console nostalgia return. That and I'll keep moaning till I get an N64 Mini and Gamecube Mini which has pretty much all the games on. Then I'll be happy! 10th October 2020, seems a bit ambitious to be so specific 2 years out. To me, charging so high for a digital version of a nostalgic classic is price gouging. But as for this, there are very few platforms for which I have absolutely no nostalgic memories, but I never had, wanted or knew someone who owned an Intellivision. I wish them luck, but the reason for buying this product eludes me. I think Nintendo already have the family friendly market bagged, and those controllers look rather delicate for something to hand to a child young enough that you would care about games ratings (our Wii remotes took some punishment when we had small kids).